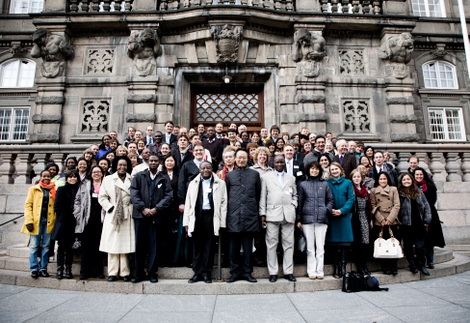 Project managers from 44 countries at the stairs of the Danish Parliament, March 23, 2009. WWViews is initiated by The Danish Board of Technology. 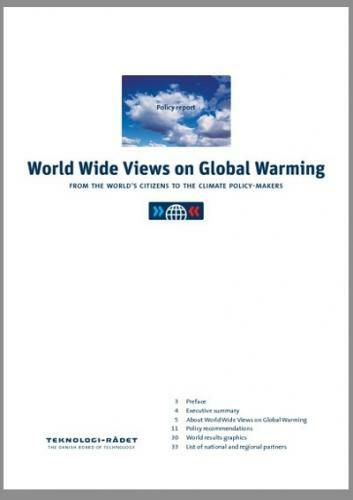 The project is organized within the WWViews Alliance consisting of national and supportive partners and is coordinated by The Danish Board of Technology. The coordinating staff at the Danish board of Technology. Partners who had the key responsibility of carrying out national and regional WWViews meetings, and for supplying their politicians with the results. Partners who gave their moral support to the project or participate in various activities connected to the project. Our three ambassadors have all written a letter of support, which you can read here. The Scientific Advisory Board (SAB) was a board consisting of selected experts in the field of climate change decision-making. The board members are scientist from all over the world with special knowledge regarding climate change. This chart shows the structure of the WWViews Alliance.